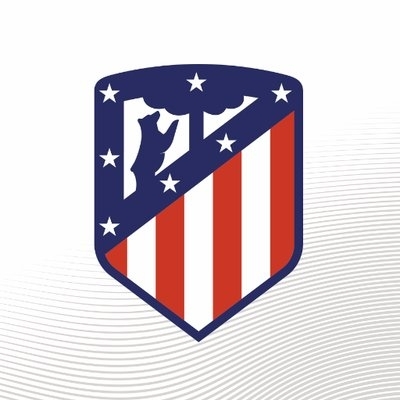 Madrid Sep 15 (IANS) Spanish football giants Atletico Madrid on Saturday was gearing up for this week s one-year anniversary of their first match at the Wanda Metropolitano stadium in a hard-fought La Liga victory over Malaga 1-0. Atletico s new 67 703-seat home which replaced the 54 907-seat Vicente Calderon stadium will mark an eventful first year full of emotional moments on Sunday reports Efe. "Wanda Metropolitano has brought us good things " Atletico coach Diego Siemone said. The journey started last year with a nearly-packed Wanda Metropolitano hosting a Malaga squad that seemed determined to spoil their hosts celebrations. Atletico s France international forward Antoine Griezmann however saved the day shortly after the one-hour mark making history as the first player to score at the new stadium. It was just an appetizer for Griezmann who went on to become Atleti s top scorer at Wanda Metropolitano with 15 goals so far including four against Leganes on February 28. The stadium witnessed a bittersweet debut for Brazilian-born Spaniard Diego Costa who kicked off his second spell at Atletico by scoring a goal before being sent off in his side s 2-0 win over Getafe on January 6. Shortly after welcoming Costa home the stadium bade farewell to another Atletico star Fernando Torres. Although the outcome of the game was secondary as Atletico had already booked a UEFA Champions League berth Torres scored twice in the 2-2 draw against Eibar. The stadium s first year was not only about Atletico as the venue saw the Spanish national team thrash Argentina 6-1 against the odds in a pre-FIFA World Cup friendly on March 27. In front of over 65 500 spectators including Argentine star Lionel Messi who was sidelined by injury Costa scored Spain s first goal at the stadium paving the way for the big victory. Wanda Metropolitano was also the perfect stage for Spain great Andres Iniesta to bid farewell to FC Barcelona in a match where he led his only career team to its fourth consecutive Spanish cup his sixth with BarÃ§a.